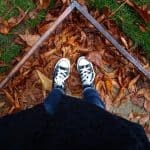 “Eight Things You May Not Know About Me” over at her place. advice on life, too. She recently prompted us to get a family trust in place. near Parc Monceau in Paris. I took these photos on my last trip to Paris. Debbie came to visit us there, they sent me a special gift that I enjoy everyday. 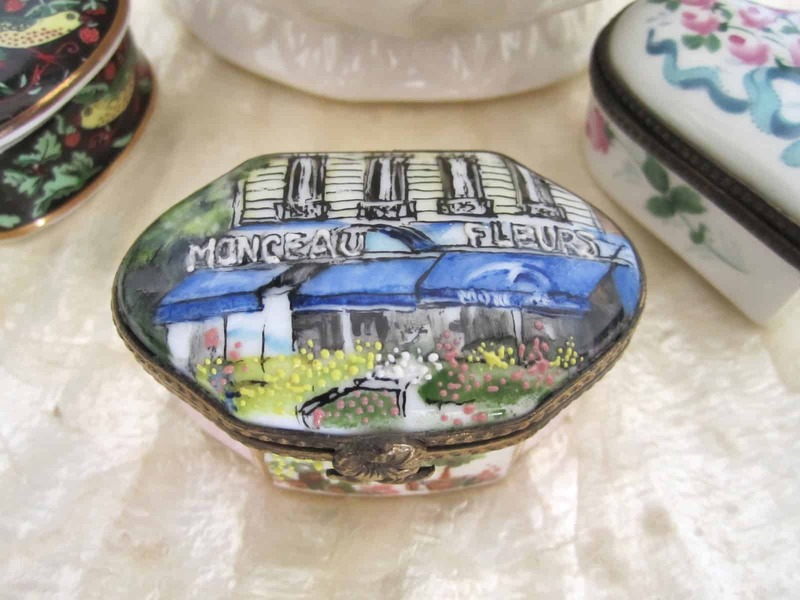 A hand painted Limoges box. and The Church of St. Augustin. Please pop by The Treasured Home! 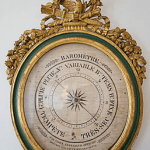 I loved the ten things you shared about yourself over at The Treasured Home! A woman who loves her family first and foremost is a girl after my own heart. 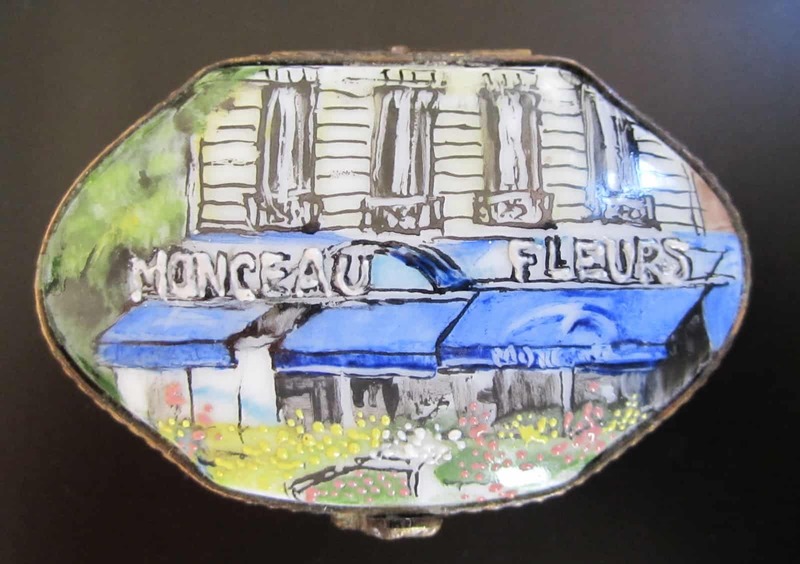 The Limoges box from your friends is beautiful. What a thoughtful gift! Mary Ann – ah Paris too much to love about that city and the fact that you lived there makes me drool. I too have a great husband that gets the first class upgrade all the time and he kindly passes on to me or even our kids. Great post. On my way over to Apartment Therapy to vote for you! Cute post! My friends make fun of me for watching Ina at the gym, too! I ran into Tommy at my sorority house last week. He is now the cool kid on campus and I am old news 🙁 We miss the Pickett family!! 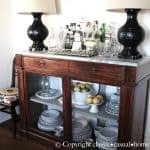 What a fun post, Mary Ann! I can't believe all the places you've lived!!! And so sweet that you keep in touch with your kids every single day! Headed over now…sounds like a good one! 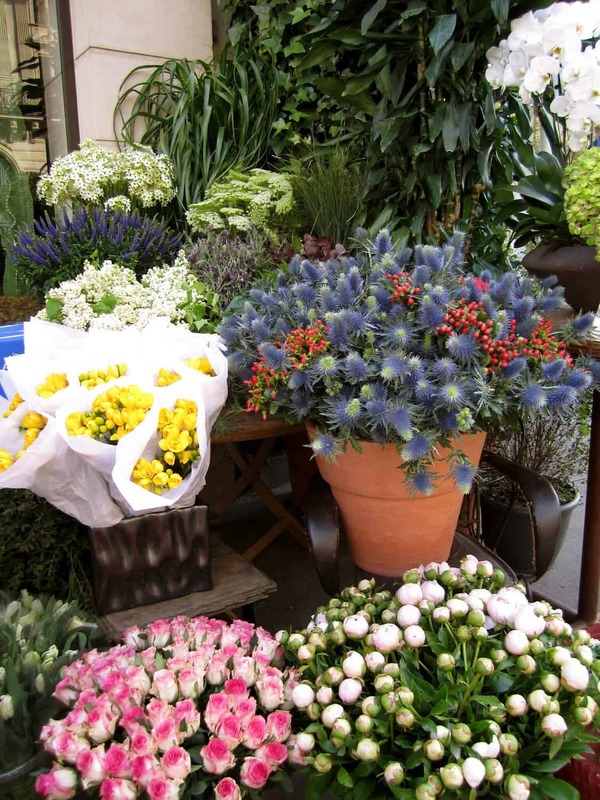 The flowers, France…ahhhh, love it all! 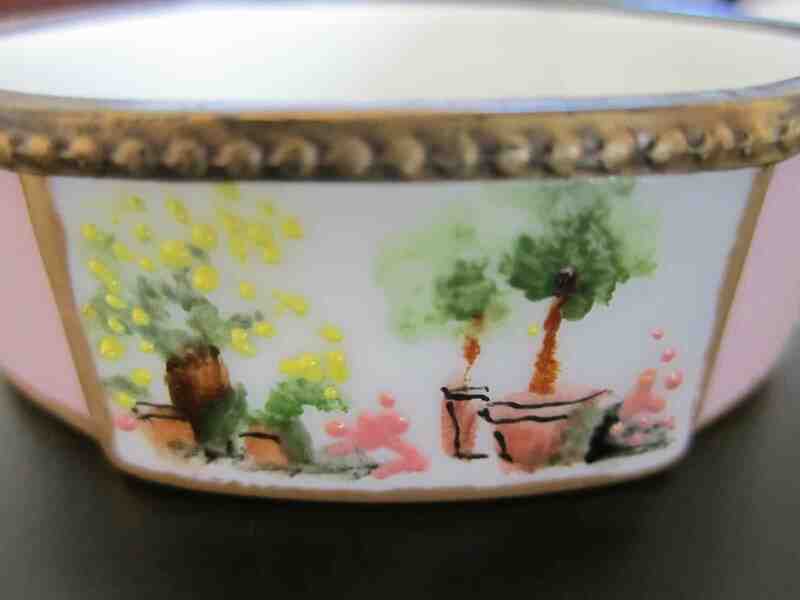 WEll I can see why you love the flowers and limoges! Beautiful. Voted. Headed over to read the rest! What lovely pictures! I'm heading over to vote for you. i adore the little porcelain box!! Oh! To have lived in Paris!! 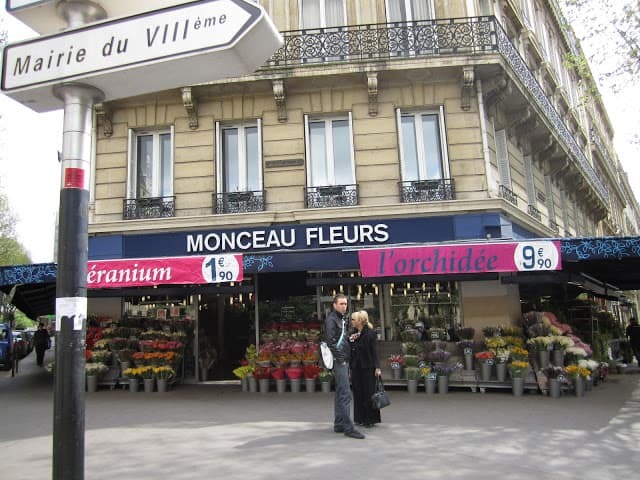 I would have had fresh flowers all the time being near that flower market. I love the little trinket box. You have such thoughtful friends! What an amazingly thoughtful and beautiful gift! Beautiful! I tried to vote for you but couldn't figure out how. When I click on your name it just brings me back to your blog. Let me know and I'll go vote. Thanks so much for joining my series this morning! Hopefully, one day, we'll meet in person. I went to vote as well. You can only vote as an apartment therapy 'member'. Back I go! voted! good luck Mary Ann!! Mary Ann darling! That was a fun interview! You have a cute sense of humor! Mary Ann, I did not know that you lived in Paris. How exciting!I will go to her blog and vote for you. love Paris & love flowers! 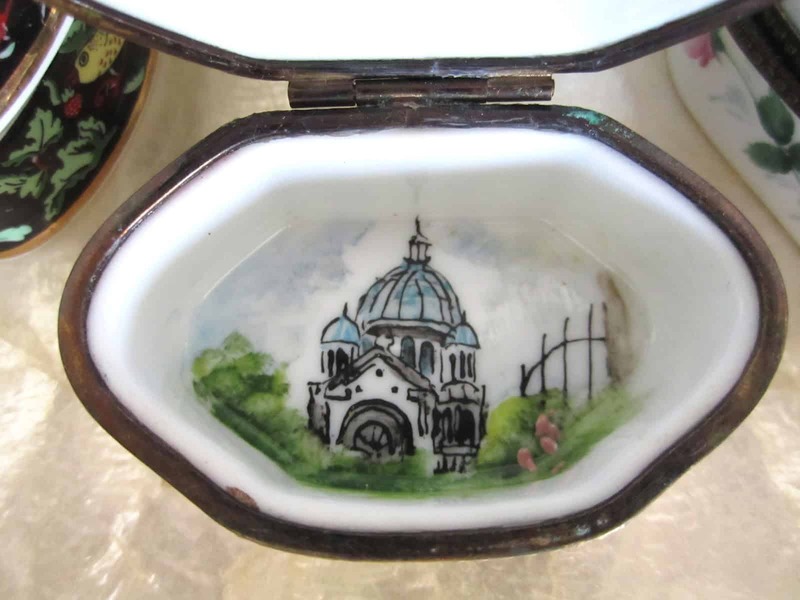 these are just too gorgeous & those limoges…gorg! What a treasured little gift. Beautiful in more ways that one. Love gifts like this too. I voted for you…good luck. Love your blog. 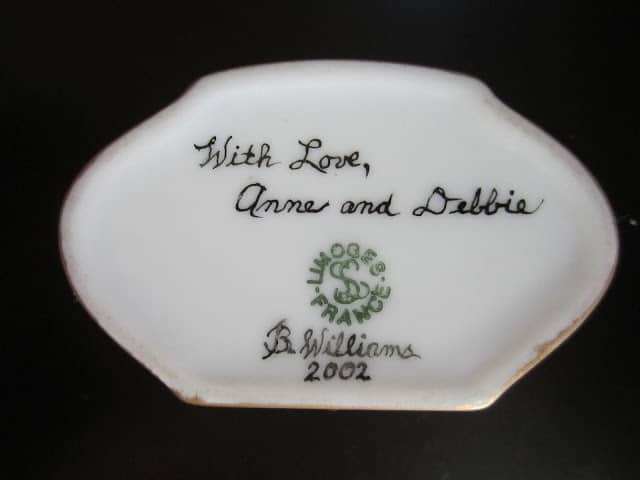 I love the limoge gift and such a wonderful reminder of your time in Paris. We are going (for the first time!) to celebrate our 30th wedding anniversary in June. Anything "Paris" is on my radar and making a note of spots to visit. I'll pop over and read your interview! Beautiful…it has been way too long since my last visit to Paris! Congrats on the blog honor! I just got back from Argentina this morning and am catching up on my blog reading while doing the laundry. It's great to see your beautiful photos again. I pinned a few. OK I'm finally getting around to commenting after spending the last hour reading your blog…..you have a wonderful blog! 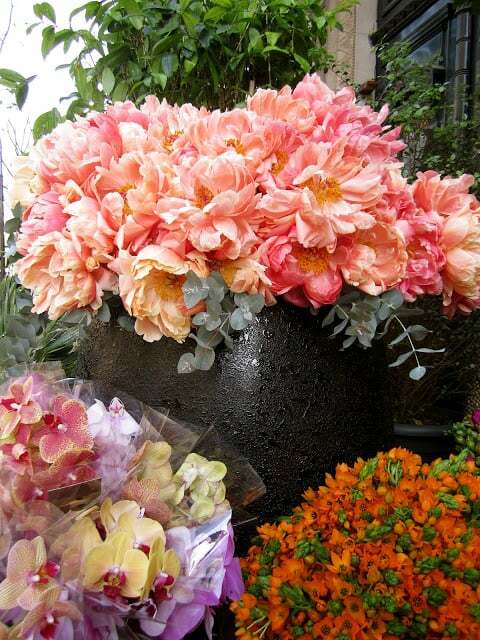 Love the flower shop and how kind of your friends to give you a gift that you'll always treasure. I just joined and will place you on my blogroll! Oh my goodness your Limoges Box is so very special! What a sweet, personal gift. Lovely! I'm off to vote! so many beautiful flowerS!How exciting!I will go to her blog and vote for you.